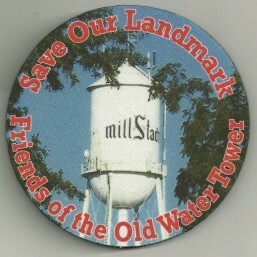 The Friends of the Old Millstadt Water Tower sole purpose is to save, restore, and preserve. It’s hard to purchase a village’s heritage back once it’s lost. 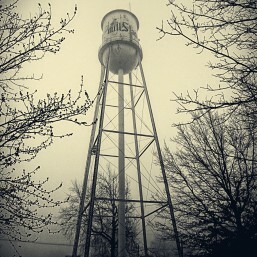 Since 1931, the iconic water tower has been a beacon to the area. Pilots used it for navigation and arrows once on top pointed the way to Scott AFB. Millstadt’s iconic landmark is one of only seven in the entire state of Illinois. It’s on Illinois’ List of Most Endangered Landmarks for 2014. In Need of Paint – Donate! Our current fundraiser is raising funds to give this landmark a facelift. We would be very appreciative for any amount you could donate today. We would love to have your support when you join Friends of the Old Millstadt Water Tower and help preserve Millstadt’s hertiage and icon. 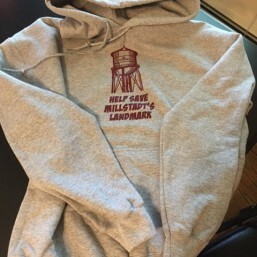 Welcome to the Friends of the Old Millstadt Water Tower, a non-for-profit organization that came together in March of 2013 for the sole purpose to save, restore, preserve and promote the Village of Millstadt’s most recognizable icon, the Old Millstadt Water Tower. Please enjoy reading our Tin Man Blog, browsing our Support Shop to further support us financially, or checking out our Calendar for upcoming fundraisers. 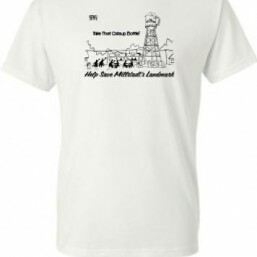 Of course, you are more than welcome to contact us or join our members.